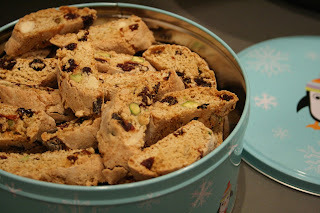 Making home-made gifts is all the rage at the moment, so I thought I'd try these Christmasy biscotti to give to some of my friends and family. 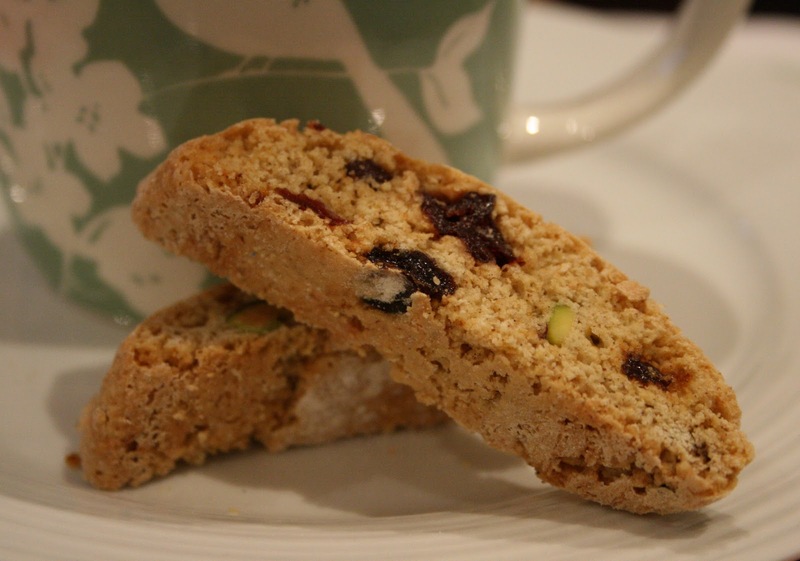 They were surprisingly easy to make and they live up to their fruity billing! I particularly enjoyed making these as they're a bit different from your normal bake. I also used Lakeland's Magic Non-Stick Liner to line my baking trays which worked a treat and is completely reusable...just wipe it down and use again next time! Pre-heat the oven to 180c/160c fan/gas 4. 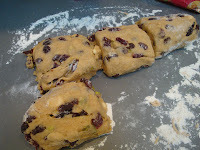 Then mix the sugar, flour, baking powder and mixed spice together. Beat up the eggs and then pour in to the dry mixture and add the zest. 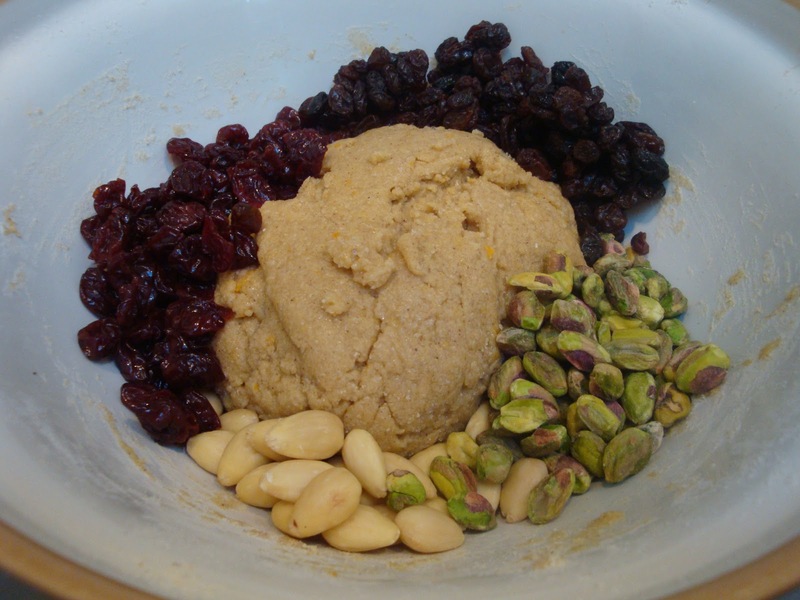 Combine with a spoon until the mixture starts to clump together, at which point you can use your hands to bring the dough together. Finally, add the fruit and nuts and mix until they are evenly spread throughout the mixture. 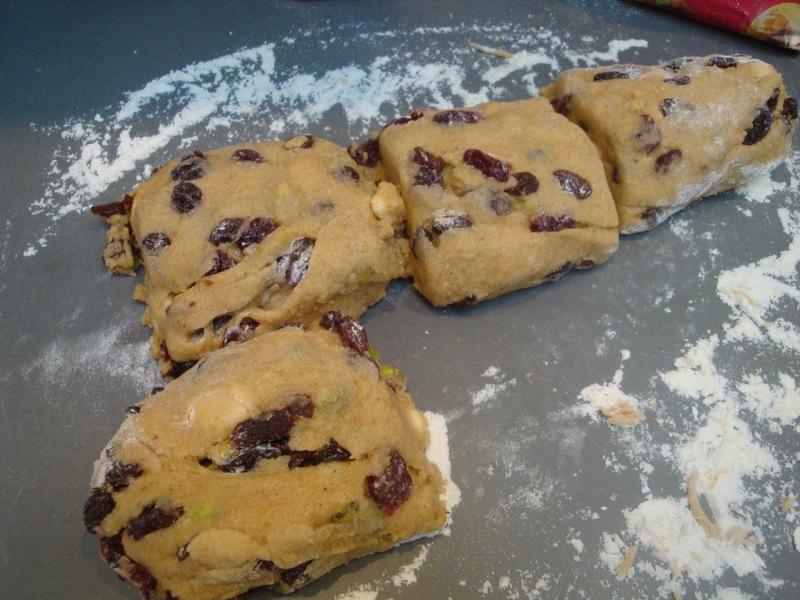 When ready, turn the dough out on to a floured surface and split it into 4. 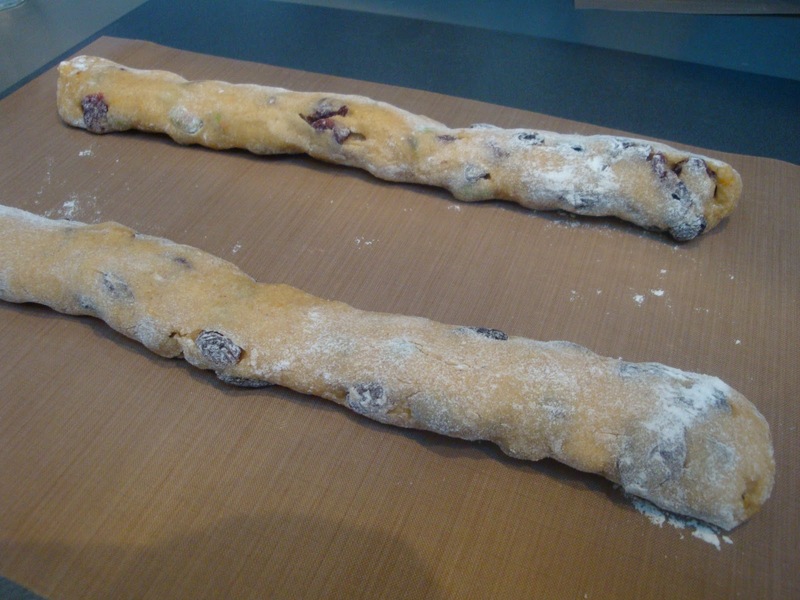 Each piece can then be rolled into a sausage, roughly 30cm long. You will need 2 baking trays lined with baking paper, put 2 sausages on each tray, well spaced. 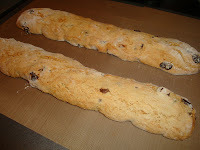 The biscotti then go in the oven for 25-30 minutes, the dough should rise and spread but still be pale. 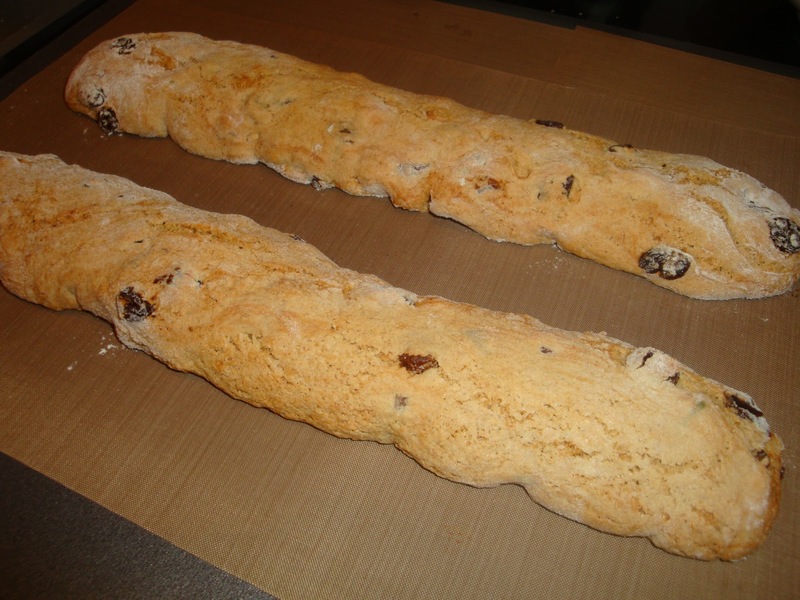 Remove from the oven and allow to cool slightly on a wire rack. Turn down the oven to 140c/120c fan/gas 1. 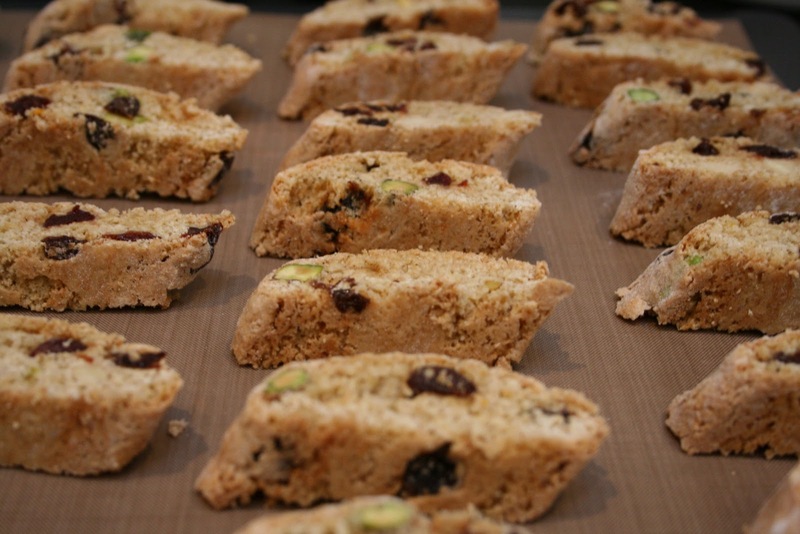 When the biscotti are sufficiently cool, cut them on the diagonal into slices of around 1cm thick. Lay them back on the baking sheets on their sides, bake on the first side for 15 minutes before turning them over and baking on the other side, again for 15 minutes. Cool on a wire rack and then store in an airtight tin. They'll last for up to a month. 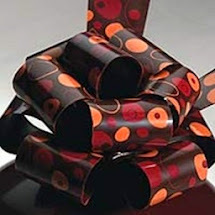 Alternatively, package in a gift bag tied with ribbon and give as gifts to your nearest and dearest! If you wish they can be frozen at the end of the first 25 minute bake. Freeze flat on a baking sheet before bagging them up. 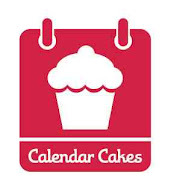 They'll last 2 months in the freezer and when you wish to complete the baking it will just take 20 minutes on each side from frozen...simple! These look so pretty and I like your additions. I think biscotti make fab Christmas gifts. Just hope the people I give them to agree! They are particularly good as they can be made well in advance. Thanks! They were well received...probably the addition of macaroons and florentines helped too! 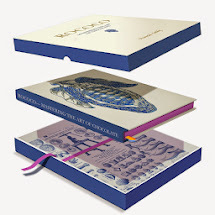 I wish I had read this recipe a week ago:these make the perfect Christmas gift. I guess I still have time don't I? I will trust your recipe!!! Ha ha...that's a lot of pressure!! It did taste good though...very moreish. Mine was very crunchy so if I did it again I'd probably leave it for a couple of minutes less on each side. If you decide to make it let me know how you get on! !